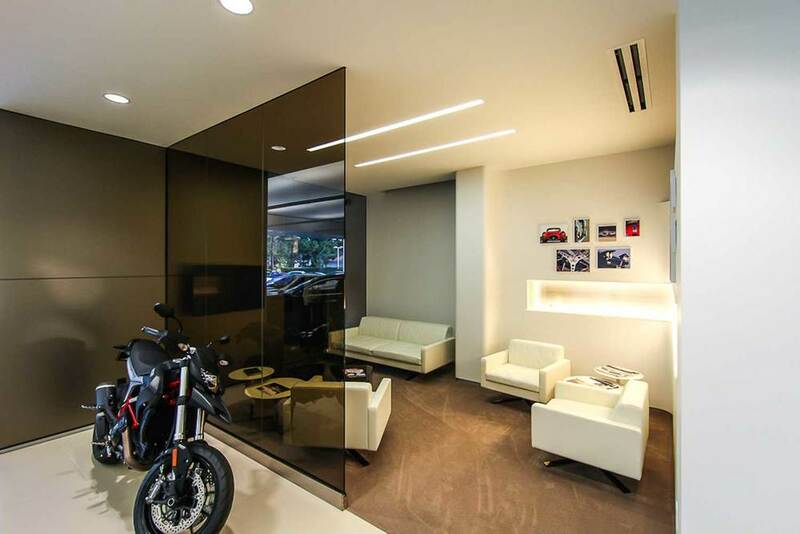 O'Gara Coach Company- Maserati — Behr Browers Architects Inc. This facility was phase 2 of a 3 phase program for O'Gara Coach Co. in Thousand Oaks. 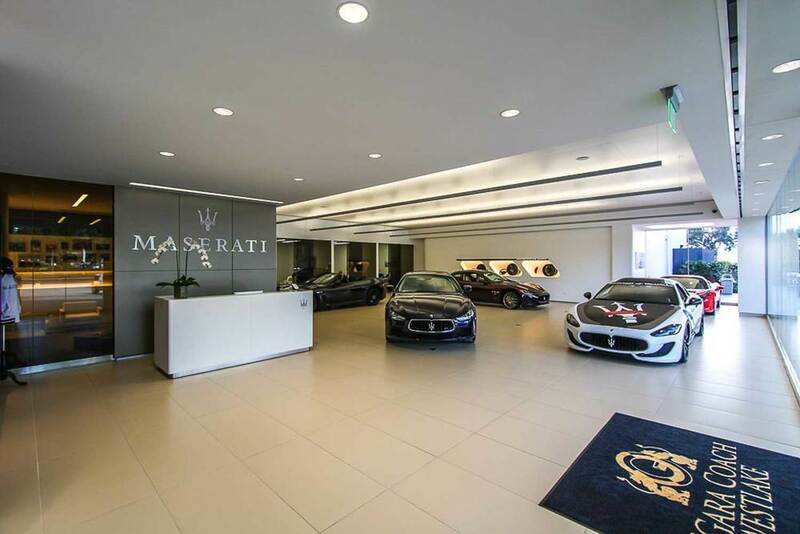 The 6000 sf showroom incorporated the latest design standards for the Maserati brand. 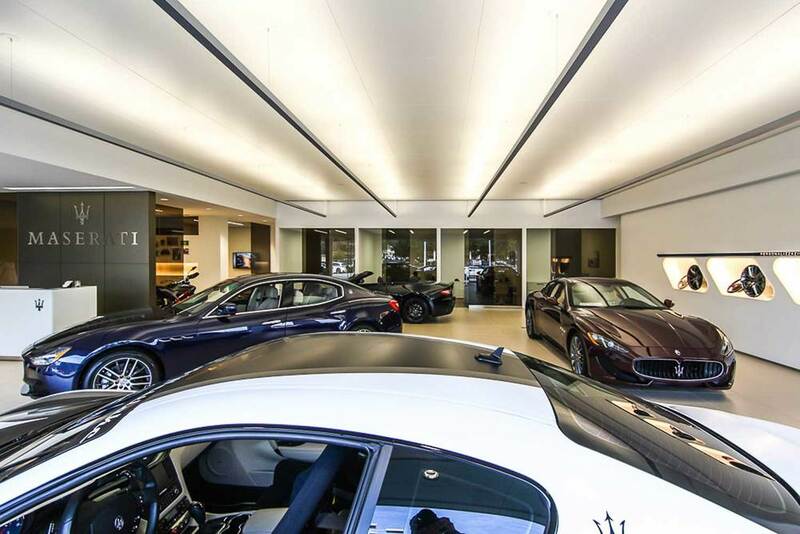 The main showroom space uses elegant stone and class detailing with a custom designed, indirect lighting system that enhances the appearance of these finely crafted, luxury automobiles. Careful design and planning sets up the architecture for phase 3 that will symmetrically mirror this addition.